"From" and "To" must contain a maximum of 20 characters. Allowed characters are letters, numbers and simple special characters, such as ! ? : - and ). "Message" must contain a maximum of 80 characters, on three rows maximum. 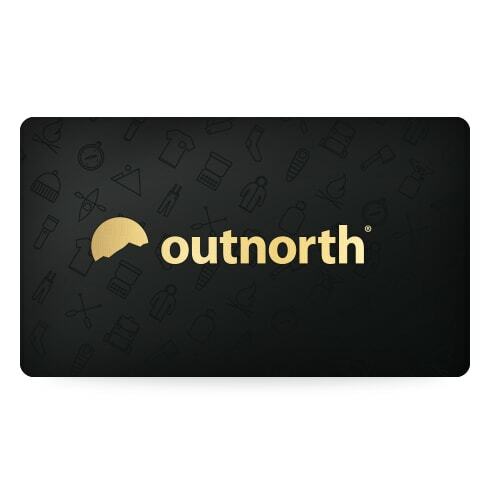 Make someone happy, buy them a gift certificate from Outnorth.com! Enter your name (From), the lucky receivers name (To) and, if you want to, a short message that will be shown on the gift certificate (max 80 characters). When you buy a gift certificate it will be delivered as an image attached to an email after we have received payment. All gift certificates are valid for 12 months from the purchase date. Discount codes do not apply to the purchase of gift cards.